When you start looking at Scots surnames, it’s worth remembering that for centuries there was frequent migration between Scotland and Ireland, so it’s not uncommon to find many similar surnames in both countries. Although a few Scottish surnames are very old, the majority weren’t in common use until the 14th century, much the same as in England. The first surnames belonged to the great landowners, who were directed by the king to adopt surnames, and named themselves after their lands, the first location surnames, if you will. However, there are other factors in play in Scotland, with some surnames associated with the Highlands and others with the Lowlands, as well as some with clan affiliation. There are clans like the MacDonalds and a number of others (originally, as in Ireland, the Mac would have meant “son of” Donald). It’s also been said that those who joined a clan always adopted the clan’s name as their last name as a sign of their loyalty. This is correct, but only up to a point. It showed their loyalty and brought them under the protection of the clan. But if they moved to another area, where another clan ruled, they’d change their surname to that of the new clan, so surnames were malleable, not fixed. The practice was prevalent in the Highlands and around the border with England, but not really in the Lowlands. 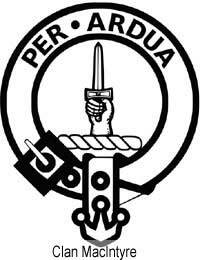 There are surnames that are not clan names, but which are associated with different clans. For example, Adie, Addison, Aitcheson and Aitken are all associated with the Gordon clan. The only way to know the connection is to research the name involved. It wasn’t just the great landowners who took their surnames from places. So did many residents of the places. So a name such as Calder (or Caddell) would mean someone from the West Lothian area of Calder. However, it could also mean someone from Calder in Lanarkshire, or other Calders in Caithness or Nairnshire. Where there are a number of places that share the same name, establishing the origin of people with that surname can be problematic. The patronymic style, where a man who James, son of John, would called himself James Johnson, while his son would take Jameson as his last name, was in common currency in Lowland Scotland until the 15th century. After that, though, the surname became fixed rather than changing with each generation. In the Highlands, where Gaelic remained the predominant language, Mac as “son of” remained in use much longer. However, in Scotland it had a somewhat wider range than in Ireland. MacIntyre, for instance, originally meant son of a joiner, and the same process was applied to other professions. At times an extra generation was added for increased differentiation by adding Vic after the Mac surname. Another problem genealogists will encounter is the variations in surnames. In some cases these can seem endless, but much of this comes from a large rate of illiteracy in rural areas until quite late. The name would have been written as it sounded, and it would sound slightly different to different ears. So any research has to take this into account. It was only when births were registered, starting in the 19th century, that any real consistency in the spelling surnames began. Great information here have been doing my family tree and makes me wonder why I have family names of Calder in both my fathers, father and mothers line , just wondering if they would be related somewhere a long the line, from different parts of scotland.